Sold by uRead-Store (4.8 out of 5 | 13,646 ratings) and Fulfilled by Amazon. Gift-wrap available. Kannur, a sleepy coastal district in the scenic south Indian state of Kerala, has metamorphosed into a hotbed of political bloodshed in the past few decades. Even as India heaves into the age of technology and economic growth, the town has been making it to the national news for horrific crimes and brutal murders with sickening regularity. What makes this region so susceptible to vendetta politics and such deadly violence? How is it an anomaly in Kerala, the state with the highest social development parameters in India? Born in Kannur and brought up amidst some of the tallest political leaders of the state, author Ullekh N.P. delves into his personal experiences while drawing a modern-day graph that charts out the reasons, motivations and the local lore behind the turmoil. He analyses the numbers that lay bare the truth behind the hype, studies the area's political and cultural heritage, and speaks to the main protagonists and victims. With his journalistic skills and years of on-the-field reporting, he paints a gripping narrative of the ongoing bloodbath and the perceptions around it. Ullekh's investigations and interviews reveal a bigger game at work involving players who will stop at nothing to win. Ullekh N.P. is a journalist and political commentator based in New Delhi. 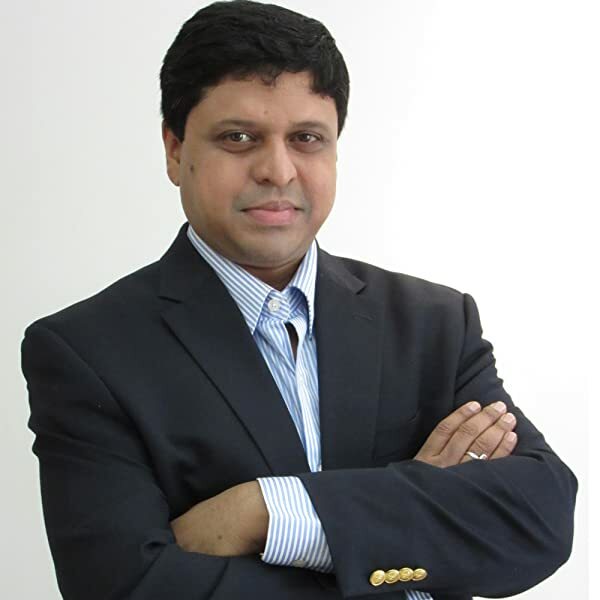 He has worked for almost two decades with India's biggest news publications such as the Economic Times and India Today, and has travelled extensively across India and overseas reporting on domestic and international politics. He is the author of War Room: The People, Tactics and Technology behind Narendra Modi's 2014 Win and The Untold Vajpayee: Politician and Paradox. He is the executive editor of Open magazine. 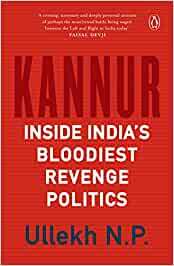 Start reading Kannur: Inside India's Bloodiest Revenge Politics on your Kindle in under a minute. 4.0 out of 5 starsA reporting sort of book on kannur's political killing, which is not one sided as RSS Spreads. Tried to be unbiased, how ever when it comes to critical overview on the struggles left parties have faced, enough justice was not done in narration- I felt. The kalarippayattu - chekavar ethnic oriented assumptions on violence was seemingly amateur and unwanted , though the author himself is not fully endorsing it. Excellent book, narrating the real political situation of kannur. 5.0 out of 5 starsKannur Kannur what an awesome country side. Very informative with lots of depth, the language is comfortable and easy to understand. This is pure propaganda paid by the Communist Party and pedaled by a party hack. It naturalizes the brutal killings of the Hindus in Kerala and justifies them along with hiding many racist crimes against Hindus. Completely biased propaganda. Don't touch it. 1.0 out of 5 starsBiased! Collection of purposeless random anecdotes/interviews, wild and crackpot theories on the history of violence in this part of the world and unbelievably silly notions like how kalaripayattu a martial art form, so far instrumental in violence, can be used to cure the violent culture. The book abounds in instances of poor knowledge. It is surprising that somebody who can write that Kannur was formerly part of Travancore state and Kasaragod was part of an undivided Kannur prior to reorganisation of states has the cheek to pen a book tracing the history of violence in Kannur. The book offers abundance examples of a preppy with no autochthonous links. Historians and academic writing has no use for him who fills pages after pages with wild, crackpot theories and pseudo history of a former police officer. I don't know what prompted the author to produce this thing in such haste that it has not even been read by a careful editor. I could even see a few instances of malapropism here and there apart from clumsy sentences. If one thinks that absolute lack of knowledge about the matter at hand can be compensated by dishing out other people's views, you risk losing credence. In some cases I found gross misrepresentation of facts. After attributing the murder of Congress man turned communist Moyarath Sankaran to the Congress men, he characterises pre-independence Congress as a gang of murderous henchmen of landlords. The past of Communist party he pictures to be nonviolent and always at the receiving end from the Congress. Either ignorantly or conveniently he omits the aggression of the communist party from early 1940's. From the beginning, I lost faith in him for many factual errors and misrepresentations and started viewing everything he said with suspicion. That's the inevitable result of inept writing. Excellent book, well researched. It is a completely unbiased account of the political murders going on in Kannur. Those people who are leaving negative comments saying it is biased have not read the book and seem to have some other agenda. Though the author is a journalist from CPM background, he has gone to great lengths to quote RSS leaders and has given a full picture of the human tragedy. Families from both sides have been interviewed. It does not matter what the party is. These murders must be stopped for the sake of humanity. This book is important and I hope it makes people realise the cycle of revenge that is going on in Kannur.